Some villains are born evil. Others require a scary outfit and a lightsaber to really get the evil thing going for them. But once it’s going, it’s REALLY going. And those villains--the ones who are made, not born--can be among the most difficult to defeat. Your kiddo is a total Star Wars fan. But he’s confused; wouldn’t the child of General Han Solo and Princess Leia Organa would be drawn to the light side of the Force, not...you know...become a Jedi killer? But the dark side of the Force is a complex and powerful thing, you explain, and if we know anything about Star Wars at this point, it’s that we never really know how anyone will turn out. Nature, nurture, you name it. There’s some serious stuff going on up in that galaxy far, far away, and it can turn even the best bred people totally rotten. Of course, it doesn’t hurt that Star Wars villains get totally rad costumes. That’s almost enough to turn us to the dark side, too. While it may not clear everything up for him, we think that wearing this Child Classic Star Wars The Force Awakens Kylo Ren Costume will help your kid jump into the mind of his favorite dark-sided villain, so he can understand the whole story better. 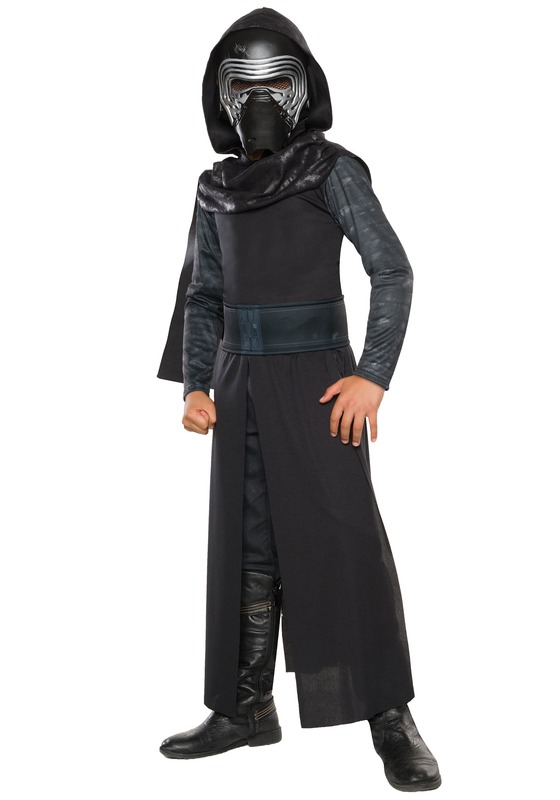 It’s officially licensed and has Ren's intimidating and mysterious look from Episode 7; it’s the perfect way to let him be a part of the The Force Awakens. But if he tries to read your mind while wearing it, it might be time for that sit-down chat about the light side of the force. One more time, just for good measure.